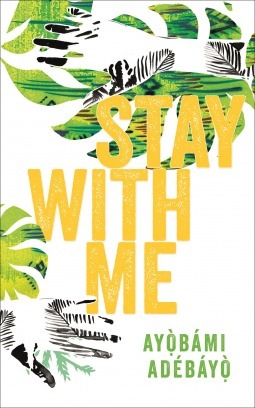 Stay With Me has been nominated for the Women’s Prize, the Dylan Thomas Prize and the Wellcome Prize… it was bound to be better than our last book. Goodreads synopsis: Yejide and Akin have been married since they met and fell in love at university. Though many expected Akin to take several wives, he and Yejide have always agreed: polygamy is not for them. But four years into their marriage–after consulting fertility doctors and healers, trying strange teas and unlikely cures–Yejide is still not pregnant. She assumes she still has time–until her family arrives on her doorstep with a young woman they introduce as Akin’s second wife. Furious, shocked, and livid with jealousy, Yejide knows the only way to save her marriage is to get pregnant, which, finally, she does, but at a cost far greater than she could have dared to imagine. 1) Learning about other cultures is always fascinating – and especially so when it involves customs around marriage and family. This book, in particular, explores status structure in families, gender expectations, marriage expectations, and there is a big focus on the importance of fertility. 2) Learning about medical issues is also fascinating. Stay With Me deals with infertility, Sickle Cell Disease, impotence, and Pseudocyesis. And the effects these can have on an individual and a family. 3) I was expecting this book to be a lot heavier than it was, considering the topics explored in the story. But the author writes with a lot of humour, and I found it entertaining and moving at the same time. What struck me most about Yejide’s role as wife was the desperation she felt to get pregnant and have children. Because she was having trouble conceiving, her whole life was falling apart before it even had a chance to begin. Against their wishes, Akin’s family introduced another wife in the hopes that she would bear him some children. And Akin gave in under the pressure and agreed to marry her. I didn’t realize that for some women, infertility is such a desperate situation; Yejide would try anything to become pregnant, even things she didn’t really believe in. It turns out that Akin was just as desperate for Yejide to get pregnant as she was, although we don’t learn about this until later in the book. We discover that Akin is impotent, and that he begs his brother to get his wife pregnant. Which leads to an inevitable attachment between Yejide and Akin’s brother. It also leads to Sickle Cell Disease. Now that Yejide is finally able to have children, they are getting sick and dying. When her third child is born, going against wifely expectations, she tries her best not to get too attached and leaves a lot of the care to Akin. It would seem, from this book, that the number one role of wife for Yejide is to have children. If this pressure is not put on her by her husband, it certainly is by other family members. Akin and Yejide themselves do not necessarily go in for traditional roles, but they find out out hard it is to escape them. Next for the Literary Wives… First Love by Gwendolyn Riley, August 6, 2018 – join in the conversation! I haven’t read this one but I’ve yet to read a bad review of it. I’ll be interested to see what you make of First Love. “First Love” did seem to get more mixed reviews, didn’t it? Luckily, that just makes me even more curious about it! I felt that though many women feel pressure to have children, there was a particular cultural value here that a marriage was only good for producing children. Although of course Yejide wanted to have children, there was extra pressure for her to have them from the families. And I suspect there is a feeling of inadequacy if your husband feels it is necessary to take a second wife because you can’t have children. 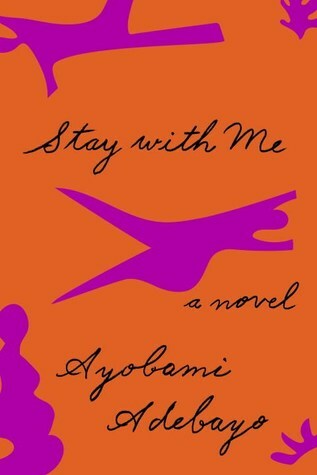 What I’ve noticed in other books I’ve read (I haven’t read Stay With Me) is that even if a wife has a child, she’s is expected to have a boy. And even if she has one boy, she is expected to have more children for her only child to be with. People still have this idea that only having one child is selfish. Let me tell you, I know some only children, and they grew up pretty happy and well cared for. The issue is when they get older, their parents’ failing health is all on them. Sounds like you’re getting a little off topic. Firstly, that’s rude of you to say, and also a bit lazy. Secondly, I don’t see how a comment about expectations of women and children is off topic from your comment about women feeling pressured to have children. I’m merely saying that first women are pressured to have children. Then they’re pressured to have the right gender of children. Then they’re pressured to have even more children. However, the way people think about how many children to have has changed, yet new challenges arrive. I was curious to see if there would be any issues with gender once Yejide had her baby, but her first baby was a girl and didn’t seem to be an issue. Although, it might have become one if she hadn’t gone on to have more children. Also, it could be that the author didn’t want to add any other “issues” into her story! I can imagine it wouldn’t feel very good! Also, it’s nice to think we’re valued for other reasons – not just pro-creation! I felt sorry for her, too. She was in an unfair and tough position. I love the points you made about learning about other cultures and also the surprisingly easy read that this was. I appreciated the simple, straightforward writing style, and yet it had depth in that simplicity. The writing and setting reminded me a little bit of Chimamanda Ngozi Adichie’s novels. As to the culture, that was the best part of the book. Polygamy in general doesn’t make sense to me, but learning about how much it is part of the culture through the pressure made the story and Yejide’s resistance to it all the more interesting. I agree. If I had all the time in the world (ha! ), I would love to read more about other cultures, through fiction. It was fascinating! Especially as it was a relatively modern story. I was reminded of my sister’s story of meeting a man when she was in Africa for several months. It surprised me when she talked about meeting his extended family – she had a hard time keeping track of how everyone was connected, because of the multiple wives and many children. I really liked this book too. The cultural setting added so many different layers of pressure to their marriage and I thought the author portrayed their relationship quite powerfully. It was fascinating to “watch” how the pressure they were under affected EVERYTHING! Sounds like Yejide is just in an impossible situation. I have resisted picking this up because I thought it would be too sad but it sounds like you didn’t feel that way about it. Maybe I’ll try it! She REALLY does a good job of making this readable! One of the aspects of this story which I think would make such a great discussion is just how different the culture depicted here is from western culture: is it really THAT different? Not that I mean to sound as though there aren’t differences, but the similarities and connections are really interesting. Aren’t women everywhere queried (penalized, sometimes) if they do not follow the expected path to motherhood? Why is infertility such a completely and entirely devastating experience, which can lead to serious mental health issues, for so many women? Are third parties involved as solutions (I’m thinking of two novels and a TV show which use this as a plot point – but I don’t want to name them – cuz, spoilers!) more often than we might guess? And just how different is serial monogamy (or infidelity) from polygamy? I found this novel completely and entirely engaging, and even though I felt like the shaping of the story was a little off (but it’s a debut after all), there were so many things to think about. Would you read another novel of hers? For sure I would! And you’ve made a really good point about the similarities between cultures. There are still pressures on women regarding giving birth and infertility here in North America – and it even leads to desperate measures and divorces. So I wonder why the story in the book felt so different? Maybe the societal acceptance of multiple wives? (Here, multiple partners would be kept secret.) And maybe the superstitions still commonly accepted surrounding fertility? It would be very satisfying to hash all this out face-to-face! I’ve just started following your blog and it seems I’ll be discovering a lot of books I wouldn’t have heard about otherwise! 🙂 The desire to become pregnant is such a foreign feeling for me, so it might be an enlightening experience for me to read this. It doesn’t sound like a book I would usually read, but the three reasons you give for enjoying it at the beginning of your post make me think it might make a good buddy read for my mom and me. Thanks for stopping by and commenting! I’ve been following you for a while on Goodreads – I’ll have to make the leap to your blog! 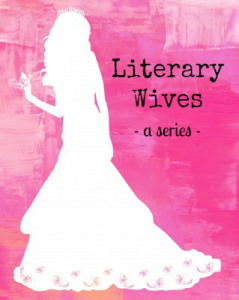 I also have a suggestion for literary wives… I think you have read The Paris Wife but your group would also find Love and Ruin very interesting. It is about Martha Gellhorn, Hemingway’s third wife and although it highlights their tumultuous relationship, it shows the strength and tenacity of a strong woman writing about war and the struggles of people affected by war. I know that you would love it!! Ooo… thanks for the suggestion, Susan! Sounds good! Yeah I found this story quite tragic and sad. I read it last year and thought if they had only communicated much better among themselves about their problems & thoughts etc. then they would have saved themselves a lot of grief. It felt like a lot of secrets due to pride or whatnot that they had to keep things from one another which ended up causing their downfall etc. The pressure to have kids is still very strong in all cultures. One can be quite ostracized or thought of badly or less of if one does not have kids, which is sort of sad … or too bad. Communication is definitely key here. Their lack of it almost drove me crazy!